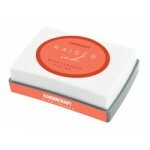 Kaisercraft Ink Pad - Amber. Acid free, water based dye ink. Perfect for general purpose techniqu..
Aqua Kaisermist. Iridescent spray ink with shimmer. Water based, acid free, 30ml ..
Kaisercraft Permanent Ink Pad - Black . Acid free, water based dye ink. Perfect for general purpo..
Blackberry Kaisermist. Iridescent spray ink with shimmer. 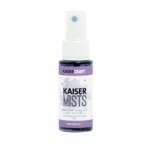 Water based, acid free, 30ml ..
Kaisercraft Ink Pad - Blue Haze. Acid free, water based dye ink. 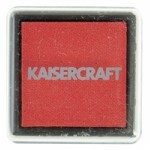 Perfect for general purpose tech..
Kaisercraft Ink Pad - Blush. Acid free, water based dye ink. 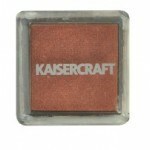 Perfect for general purpose techniqu..
Kaisercraft Ink Pad - Burnt Orange. Acid free, water based dye ink. 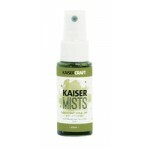 Perfect for general purpose t..
Candy Kaisermist. Iridescent spray ink with shimmer. 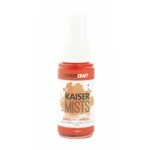 Water based, acid free, 30ml ..
Kaisercraft Ink Pad - Cherry ..
Kaisercraft Ink Pad - Chestnut. Acid free, water based dye ink. Perfect for general purpose techn..
Kaisercraft Ink Pad - Chocolate. Acid free, water based dye ink. 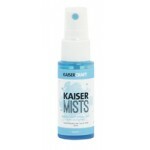 Perfect for general purpose tech..
Coffee Kaisermist. Iridescent spray ink with shimmer. 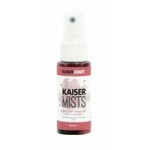 Water based, acid free, 30ml ..
Kaisercraft Ink Pad - Cotton Candy. Acid free, water based dye ink. Perfect for general purpose t..
Kaisercraft Ink Pad - Denim. Acid free, water based dye ink. 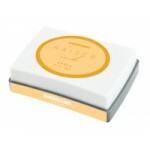 Perfect for general purpose techniqu..
Kaisercraft Ink Pad - Fern. Acid free, water based dye ink. Perfect for general purpose technique..
Kaisercraft Ink Pad -Flamingo. Acid free, water based dye ink. Perfect for general purpose techni..
Kaisercraft Ink Pad - Forest. Acid free, water based dye ink. Perfect for general purpose techniq..
Kaisercraft mini ink pad - Forest ..
Kaisercraft Ink Pad - Grape. Acid free, water based dye ink. Perfect for general purpose techniqu..
Kaisercraft Ink Pad - Licorce. Acid free, water based dye ink. 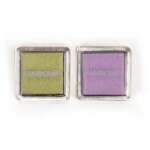 Perfect for general purpose techni..
Kaisercraft ink pads from the Lilac Avenue collection ..
Lime Green Kaisermist. Iridescent spray ink with shimmer. 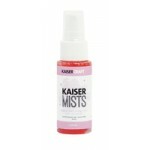 Water based, acid free, 30ml ..
Kaisercraft Ink Pad - Lipstick. Acid free, water based dye ink. 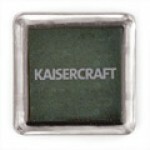 Perfect for general purpose techn..
Kaisercraft Ink Pad - Metallic. Acid free, pigment, water based dye ink. 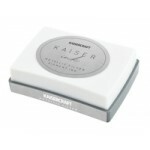 Perfect for general purp..
Kaisercraft Ink Pad - Metallic Silver. Acid free, pigment, water based dye ink. 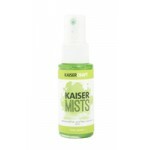 Perfect for gener..
Olive Kaisermist. Iridescent spray ink with shimmer. 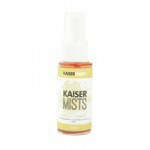 Water based, acid free, 30ml ..
Orange Kaisermist. Iridescent spray ink with shimmer. 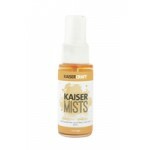 Water based ink, acid free, 30ml ..
Peach Kaisermist. Iridescent spray ink with shimmer. Water based ink, acid free 30ml ..
Kaisercraft Ink Pad - Peacock. Acid free, water based dye ink. Perfect for general purpose techni..
Kaisercraft Ink Pad - Plum. Acid free, water based dye ink. Perfect for general purpose technique..
Kaisercraft mini ink pad - Red Gum ..
Red Kaisermist. Iridescent spray ink with shimmer. Water based ink, acid free 30ml ..
Kaisercraft Ink Pad - Sea Breeze. Acid free, water based dye ink. Perfect for general purpose tec..
Shiraz Kaisermist. Iridescent spray ink with shimmer. 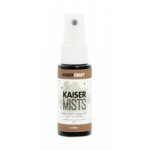 Water based, acid free, 30ml ..
Kaisercraft Ink Pad - Smoke. Acid free, water based dye ink. Perfect for general purpose techniqu..
Kaisercraft Ink Pad - Spearmint. Acid free, water based dye ink. Perfect for general purpose tech..